In the general study of speech and phonetics, vowels have stood in second place to consonants. But what vowels are, how they differ from one another, how they vary among speakers, and how they are subject to disorder, are questions that require a closer examination. 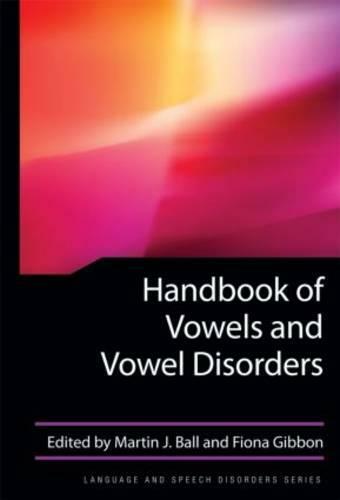 This Handbook presents a comprehensive, cogent, and up-to-date analysis of the vowel, including its typical development in children's speech, description by perceptual and instrumental methods, cross-linguistic and sociolinguistic aspects, and disorders of its production and use. It approaches the problems of vowel production and perception from the viewpoints of physiology, physics, psychology, linguistics, phonetics, phonology, and speech-language pathology. The chapters are logically complementary, and the major sections of the book are like key dimensions of understanding, each adding a perspective and base of knowledge on vowels. The sum total of the chapters is a synthesis of information on vowels that has no precedent.